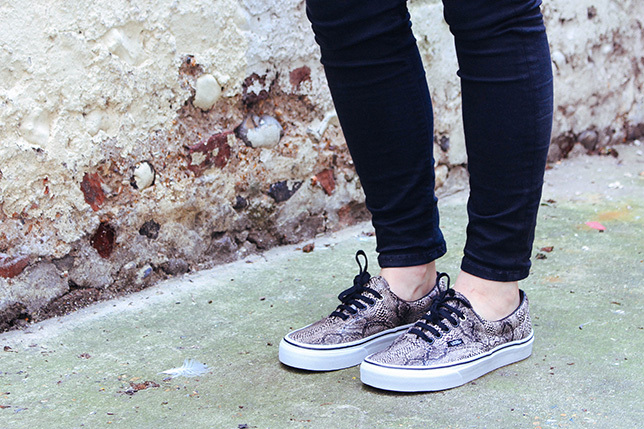 These Vans have sat in my wardrobe for three whole months, finally this weekend it was time to break them out. The reason I was so slow to pop them on my feet? I'd heard that Vans absolutely rip up your feet on first wearing. I can 100% confirm this. My god, such pain. But, aren't they delightful? I've become such a trainers girl recently, other than the initial pain of breaking them in, they are just so comfy. I got these from & Other Stories in the sale, they always have a great range of trainers. Next on my list are these monochrome Nikes.